Semarang city is one of cities that full of history. The city that is the capital of Center Java that always visited by. In Semarang city is not only Kota lama area as a historical attractions, but there are the other interesting attractions, like Things to do in Pecinan, Semarang. If you guys like to observe the buildings with China or Tionghoa arcithecture, then try to stop over there. Here are the following explanation. 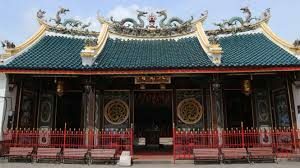 Pecinan Semarang area is the area that filled with old buildings typical of the architecture of China. This area has the high historical value for the society around Semarang. This place has existed since thousands of years ago, so there is a lot of historical story attached to this place. 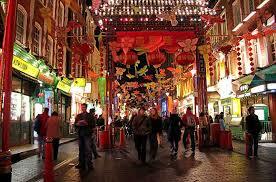 The tourist who visit not only can see the historical attractions but also the culture attractions. The history of Pecinan Semarang area can not loose from the existence of the dark history of citizens revolt that happened on colonial era. Chinese revolt against the invaders happened at 1740s dan strated from Batavia. Batavian revolt was made a lot of Chinese citizen brought to Semarang. Chinese citizens were given a place of localization by invaders. The purpose on the past is in order to make them easier of supervised, so easier to secured if sometimes a similar revolt happened. Because if they are scattered, then it can be harder for invanders to set everything. Pecinan are become a place to stay and for their activities and looking for sustenance, until now. You will find that many economical activities in Pecinan area, like in Semawis market. For you that want to come to Pecinan Semarang area and confuse will do what at the venue, here below some alternative thing to do in Pecinan, Semarang. If Semarang city identic with many stately Dutch colonial buildings and stand firmly until now. Because Semarang also has a lot of beautiful buildings typical of the architecture of Tionghoa. This place will be as if invite you to the other side of world. The buildings most have a simple form with a roof that is similar to saddler a horse. Moreover, additional Chinese feels when we explore this area. The other interests thing to do is Semarang culinary tour. One of that you can visit is Semawis market. Semawis market is one of iconic attractions in Pecinan Semarang, where there are culinary festival in Gang Warung street. There are the other aisles like Gang Baru, Gang Gambiran, and etc. Every asiles has their characters each other. For those who likes photography, come to Pecinan Semarang area is not waisted for. Because there are a lot of unique buildings that can be a good spotlight for photography in Semarang. Moreover, the typical of atmosphere also can be a good spot for photography, if you can feels around yourself. Like with the following word before, one of thing to do in Pecinan Semarang is culinary tour. You can come to Semawis market. This place can be access only at night, that is at 18.00 o’clock to 23.00 in midnight. The concept that served is outdoor culinary concept in the aisle. While, for the food seller is in on a tenant, like a atmosphere of Sunday market. There are lot of food that you can found there. 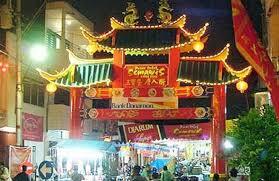 The most is the typical of food in Semarang, and Chinese food. One of tips for traveling in Semarang for you who want to come to Pecinan Semarang area. There are main route that you can go for reach that place, with the following words. First route is from Gajahmada street area. From there, you can go to Kranggan street and go to Benteng street. Then you can reach Pecinan. Second route is go to Wotgandul street area then go to East Wotgandul street. Third route is start from K. H. Agus Salim street area then go to Pekojan street and go to Pecinan from Gang Pinggir. Fourth route is start from Jagalan street then go to Ki Mangunsarkoro street then to Gang Pinggir Pecinan Semarang. So that is the explanation of things to do in Pecinan Semarang that are so interesting for visit when you are in holiday to Center Java.